I’ve fallen down a bit on my Friday Fives because the last few weeks have been busy with travel and more. So here’s a Friday Five that covers what I’ve been up to! 1. London. Wes’s company asked him to travel to London for work for a few weeks in January and I took the opportunity to take a long weekend with him in London. I had been to London once when I was 18, but haven’t been back since. 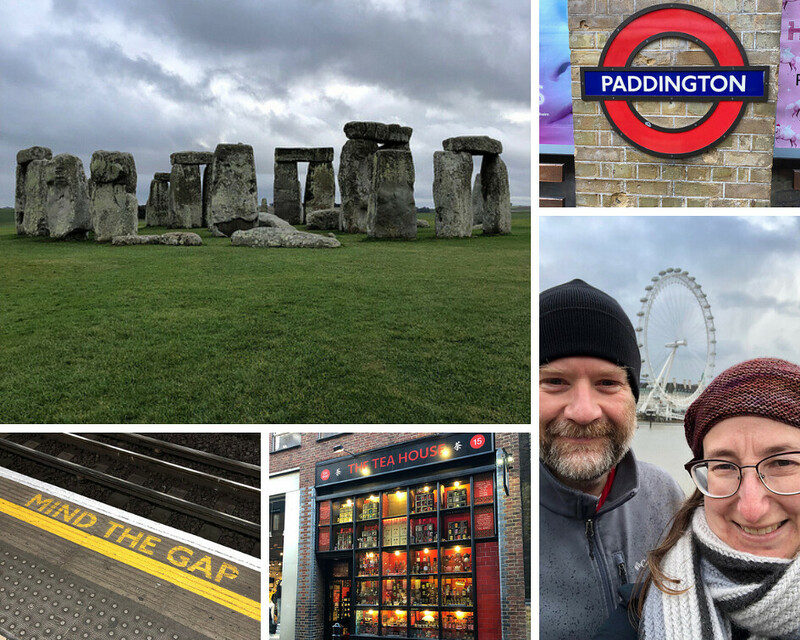 We only had the weekend to sightsee together, and we crammed a bus trip in to Stonehenge and then wandered London in the rain, seeing everything from Buckingham Palace and the Eye to the Globe Theatre Replica. On Monday, after he went back to work I found a tea shop, and then went and enjoyed the Victoria & Albert Museum. I’d go back in a heartbeat – let’s hope they send him again! 2. FINISHUARY. February is for finishing! In January (and before) I started a million projects. 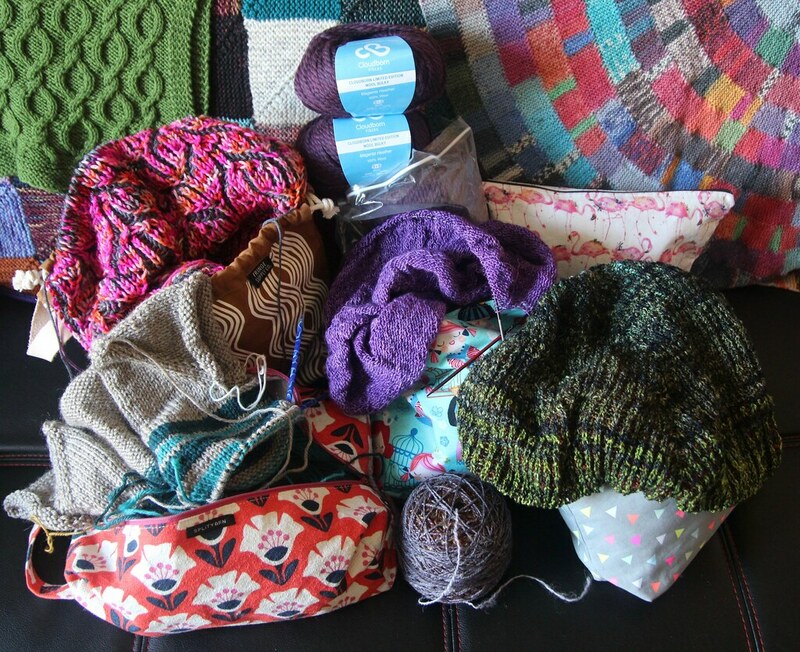 Some are test knits, some sample/commission knits, and plenty for my own pleasure, and they all need to get done! I’m dedicating February to finishing some of what I’ve got on the needles. Which isn’t to say I won’t cast on one or two more things… I need to test some top secret tools and I got talked into a bulky sweater (CARBETH) along by one of my partners in crime. 3. Reading. If you’re unaware of the serious discussion going on in the knitting community about racism (via Instagram and Ravelry primarily), that has been occupying a lot of my thoughts lately. 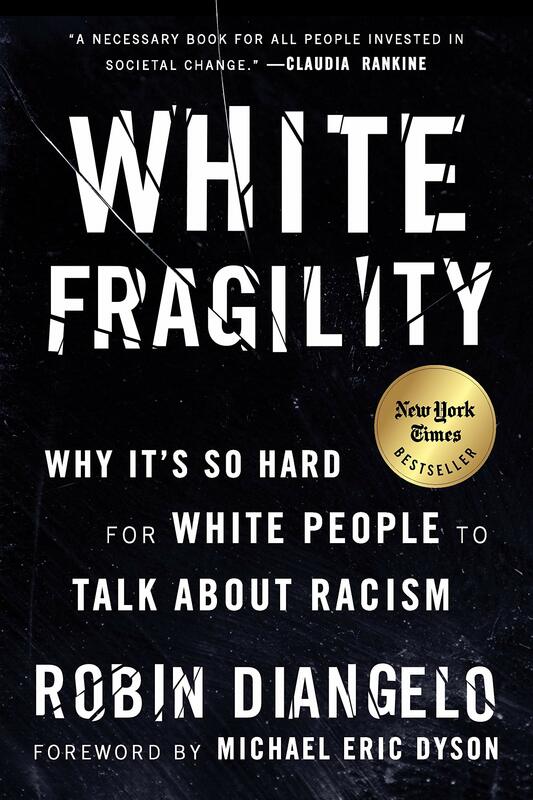 It seems timely then, that my library hold came in this week for White Fragility: Why it’s So Hard for White People to Talk about Racism by Robin DiAngelo. 4. SIPPING. I couldn’t go to London without picking up tea right? 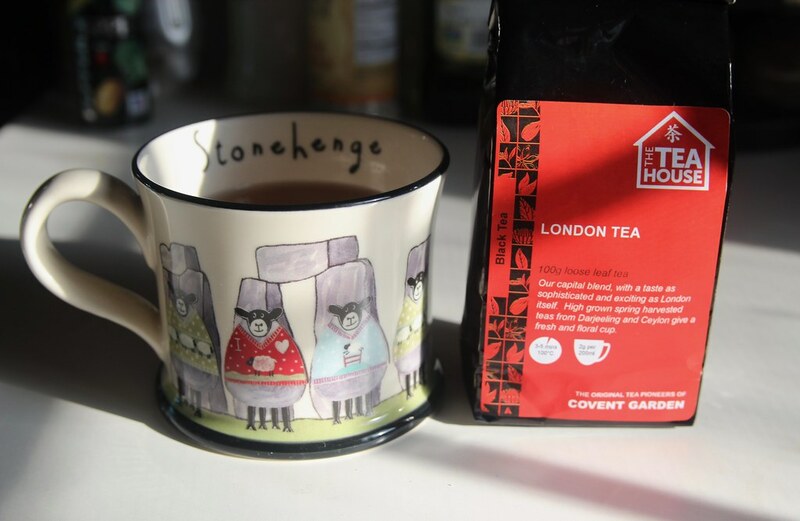 Right now I’m enjoying London Tea from The Tea House in Covent Garden in my new Stonehenge Sheep Mug. London Tea is a blend of Darjeeling and Ceylon teas and it’s delicious! 5. Freezing. This week was a polar vortex here in the Midwest. My poor sister had it worse (her living room window cracked in the cold! ), but it was down below zero here as well. I’m looking forward to a warmer weekend with lots of crafting and reading ahead. Have a great one! Next Episode 216: Finish it February!